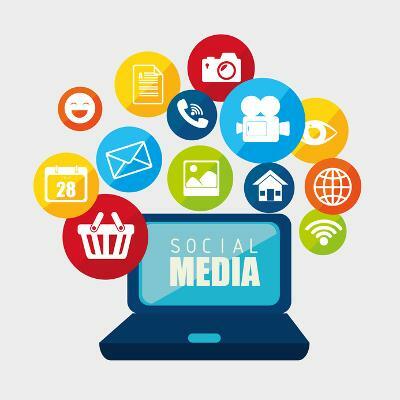 The most popular social media platforms generally have different uses in the business world. These include Facebook, Twitter, LinkedIn, YouTube, and even some other emerging technologies like Snapchat and Instagram. If your organization learns to take advantage of these platforms, it can reap considerable benefits, but only if the risks are navigated effectively. The social aspect of social media is the biggest reason your organization can make an impact with these platforms. When your organization has online accounts on social media platforms, you’re earning almost free exposure for your business. Prospective clients can see what your business does at a glance, more so than with a website in some ways. Individuals can share your page with others who might find it interesting. On the other hand, if more people are seeing your organization online, your competitors can catch a glimpse of what you’re doing to earn your share of the market, which can give them ideas to usurp your spot at the top. Even with these benefits, your organization faces significant risk from social media networks. Most of these issues stem from network security and user productivity, both of which can harm your business’s success. Network Security: Social media networks might create more of a web presence for your organization, but this is a double-edged sword that cuts both ways. More hacking attacks can target your organization, and the passwords or usernames could be potentially stolen during data breaches. Phishing attacks could come through messaging apps as well. The best way to stay safe is to keep your users focused on social media best practices, and to remind them that they shouldn’t be posting about your workplace or practices on their own personal pages. User Productivity: Your employees might find the draw of social media to be too tempting--particularly during work hours, as quality of work can suffer or distract others. Your employees might find that Netflix is more fun than their current responsibilities, or that they simply can’t keep themselves from trash-talking your organization online in full view of the public. There are ways to keep your employees from accessing social media on your workplace workstations, but doing so can create a troublesome conflict. Therefore, you should have measures put into place that don’t lead you to ruin one good thing for every employee because of a few bad apples. A content filtering solution from White Mountain IT Services can help you maintain productivity while still allowing your employees to browse social media in a fashion. You can block access to time-wasting and dangerous websites, among these social media, on a per-user basis, allowing you to segment “punishment” to only the truly unproductive employees. To learn more about content filtering, reach out to us at 603-889-0800.